Marise Payne said there was “an exchange of views” on the issue of Xinjiang internment camps. Australia’s foreign minister raised China’s internment of Uighur minorities in Xinjiang at a meeting with her Chinese counterpart on Thursday as Beijing comes under increasing international scrutiny over its controversial security policy. The United States and other countries called on China to release people held in the centres as the country faced a grilling at the UN Human Rights Council in Geneva on Tuesday. The Chinese delegation reiterated Beijing’s description of the camps as vocational “training centres” that were built to help people drawn to extremism stay away from terrorism and allow them to be reintegrated into society. Australia has also barred Chinese telecom firms Huawei and ZTE from operating the country’s new 5G network – a decision that has infuriated Beijing. 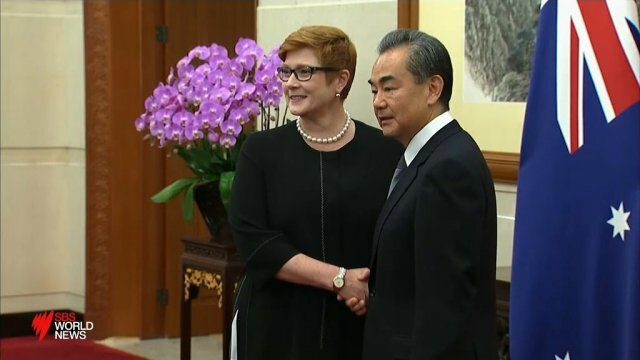 Payne emphasised Australia’s commitment to “deepening” its strategic partnership with China, and said the two countries share many interests and goals, from countering protectionism to addressing climate change. Addressing Australia’s $1.5 billion infrastructure fund to support Pacific islands — seen by some as a counter to Beijing’s rising regional influence — Wang said the two countries were “not competitors” but partners, and said they could combine forces to develop trilateral relations with Pacific islands.